Congratulations. You've made it to spring. After what felt like a never-ending winter, it's finally time to put away your bulkier layers and make way for all the warm-weather pieces in store for you. The number one item that signifies a wardrobe refresh? A pretty spring-ready dress. You know the kind I'm talking about. It's something breezy, maybe in a fun color or print, and the type of piece that could even prompt you to book a tropical vacation. Well, the best spring dresses have officially hit the fashion world, and now it's only a matter of time before we see celebrities, influencers, and fashion insiders posting photos in these cult-favorite pieces. 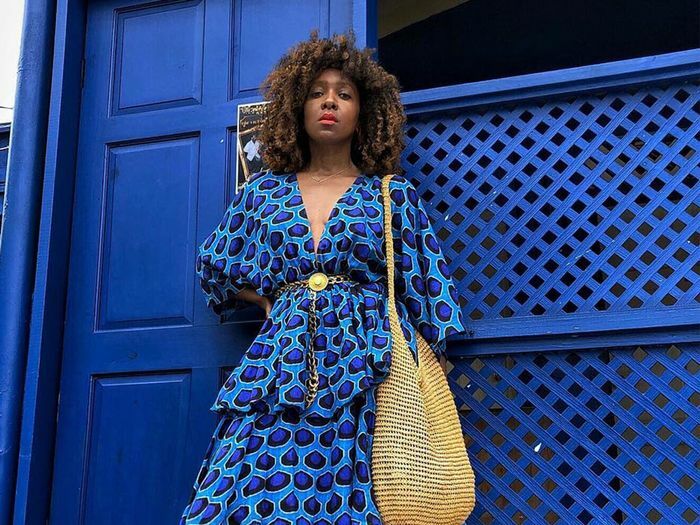 From Rixo's '80s-inspired mixed prints to the new popular dress styles from everyone's favorite Reformation option, keep reading to shop the best spring dresses destined for cult status, and see how fashion girls are wearing each brand now. As we've shared before, RHODE's Ella Dress is the perfect vacation-ready piece that fashion girls pack for their travels all over the world, from St. Lucia to Cartagena. The brand's other bohemian-inspired printed dresses are just as vacation- and photo-ready. London-based Rixo has a knack for creating some of the coolest prints out there in retro-inspired creations that fashion girls can never get enough of. Its '80s-style Lucy dress is already a beach vacation hit, and we also have our eye on its newer mixed-print pieces like the Martha Dress. Reformation is naturally one of our first stops when shopping for a new spring dress since its selection always nails it. The dresses jumping out at us this spring involve smocking, romantic bustier-inspired necklines, and tie straps. Of course, the fashion crowd will be jumping at the chance to wear the newest styles from It brand Réalisation (as if that were even a question). As for its most popular spring dresses, we're betting on the champagne Tia slip dress and puff-sleeved Venus dress earning cult status. All the #GanniGirls who wear the Copenhagen-based brand are some of the coolest trendsetters on Instagram, so there's no question that with each new season, a handful of its pieces, but especially its printed dresses, go on to claim It status. Fashion influencers are all about this summer-ready brand, whose easygoing pieces are the building blocks to any warm-weather wardrobe. Dôen's breezy dresses that feature vintage-inspired florals are fashion-girl favorites. It's only a matter of time before we see celebrities, influencers, and fashion insiders posting photos of themselves lounging and vacationing in the dresses from its spring and summer collection. Next, see why the most viral item of 2019 is a $3 buy from Amazon.